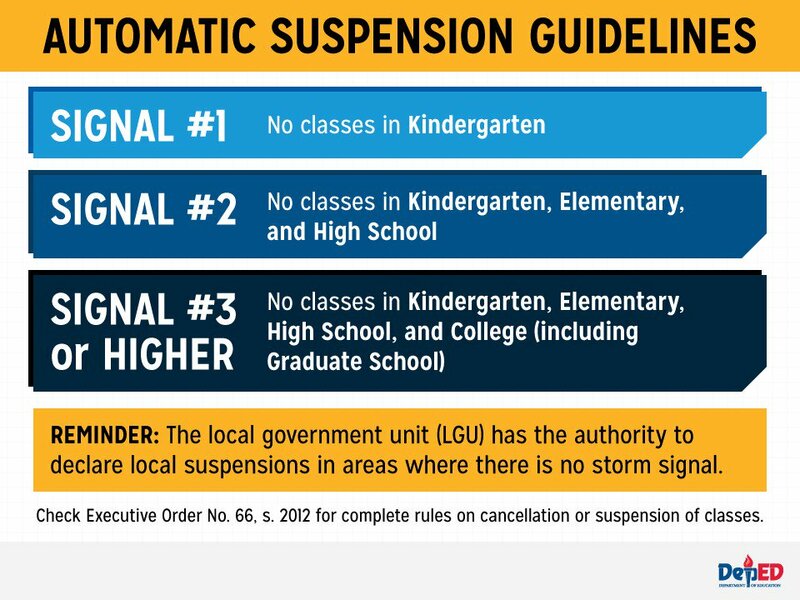 MANILA, Philippines - (UPDATED as of 2:00 a.m.) Several local government units in Metro Manila and Luzon announced class suspensions for today, September 12, 2017 due to inclement weather condition brought by tropical depression "Maring." 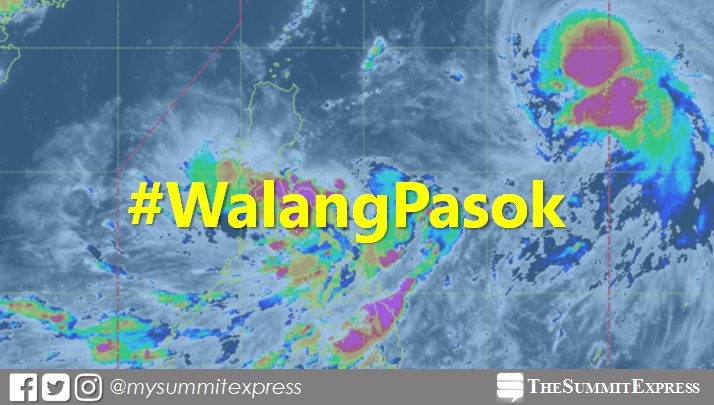 According to state weather bureau PAGASA in its 8:00 p.m. bulletin, moderate to occasionally heavy rains starting today will be experienced over Bicol region, CALABARZON, MIMAROPA, Metro Manila, Central Luzon and Pangasinan. Tropical cyclone warning signal TCWS No. 1 (30-60 kph Expected in 36 hours) was raised over the areas of Metro Manila, Catanduanes, Camarines Norte, Camarines Sur, Nothern Quezon incl. Polillo Island, Rizal, Bulacan, Pampanga, Quirino, Nueva Ecija, Tarlac and Aurora.